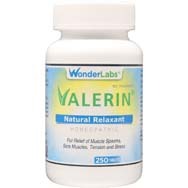 Because the levels of hyaluronic acid tend to decrease as you age, adding it to your daily regimen in the form of nutritional supplements is believed to help treat or prevent age-related health issues, per verywellhealth.com, which is why you might sometimes hear hyaluronic acid referred to as an anti-aging supplement. Note that while our skin can begin experiencing a loss of hyaluronic acid as early as age 18, wrinkles and other signs of skin aging or damage typically don’t appear until you’re in your late 30s or early 40s, per livestrong.com. The goal of many skin-care products is to keep your skin supple and youthful-looking, although that can be a long, tough battle. Per articles.mercola.com, hyaluronic acid outside the human body was discovered by German-born scientist Dr. Karl Meyer in the vitreous body of a cow’s eye. Meyer further found out that it was this liquid-like substance that aided the eye in keeping its shape, reasoning that it also would have a therapeutic use for humans. A decade later, it was further discovered that rooster combs were rich in hyaluronic acid. Because such combs were more plentiful than what could be extracted from cow’s eyes, the rooster combs became the favored source of hyaluronic acid. Additionally, another eventual source of hyaluronic acid turned out to be streptococci bacteria, which could produce the substance. 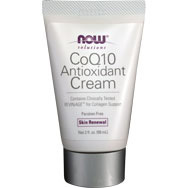 Other bacteria strains have since been revealed to be sources of hyaluronic acid. Some foods also can provide hyaluronic acid. These include grass-fed meats such as beef, turkey, pork, and lamb; vitamin C-rich foods (such a citrus fruits and red, yellow, and orange bell peppers); and magnesium-rich foods (such as bananas and apples). 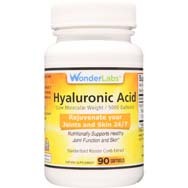 Hyaluronic acid is more than just a lubricant – per livestrong.com, it holds in moisture (where most needed), offers cushioning support, has a role in helping to repair tissue, holds together collagen and elastin (which are skin structural components), and aids in the production of a barrier to protect your body from microorganisms. Skin health. Hyaluronic acid holds its own in holding moisture – up to a thousand times its weight in water, which is all the evidence you need to know to explain its effectiveness in helping to moisturize the skin. Per livestrong.com, because hyaluronic acid is a large molecule, it doesn’t permeate far into the skin, instead staying close to the surface where it can better moisturize the layers of the skin’s surface. Alleviate bladder pain. This pertains especially to the 3-6 percent of women who have a condition known as interstitial cystitis, otherwise known as painful bladder syndrome. Per healthline.com, researchers have found that hyaluronic acid injected straight into the bladder via a catheter may reduce the pain and reduce urinary frequency linked to this condition. Treating wrinkles. The loss over time of hyaluronic acid as we age leads to wrinkles, so it makes sense that putting it back into the skin can reverse that part of the aging process. Hyaluronic acid fillers can help restore the skin’s youthful appearance while enhancing skin tone to restore a smooth, tight, supple look. Osteoarthritis. Per verywellhealth.com, a pair of studies that involved overweight people with osteoarthritis in their knees showed that those given hyaluronic acid orally showed a significant improvement in pain and function vs. those given a placebo. Many supplements formulated for the treatment of osteoarthritis contain a mix of hyaluronic acid, glucosamine, and chondroitin sulfate. Maintain bone strength. Two studies cited at healthline.com revealed that supplements containing hyaluronic acid can aid in reducing the rate of bone loss in osteopenia-afflicted rats, referring to a condition that is the first stage of bone loss leading to osteoporosis. Eye disorders. A study published by the American Academy of Optometry said that researchers have found, for example, that hyaluronic acid might help possibly treat dry eyes, mostly in extreme cases, per articles.mercola.com. Approximately one in seven older adults suffer from dry eye because of decreased tear production or quick evaporation. Wound healing. 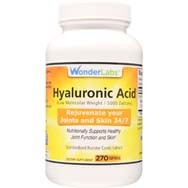 Hyaluronic acid can accelerate the healing of wounds by regulating inflammation levels, per healthline.com, and directing the body to construct more blood vessels in the area of the wound. 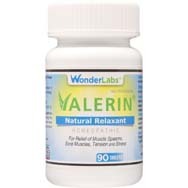 Alleviate acid reflux. In cases of acid reflux, stomach contents are regurgitated into the throat, resulting in pain and harming the esophagus’s lining. Hyaluronic acid can help soothe that lining and quicken the recovery process, per healthline.com.